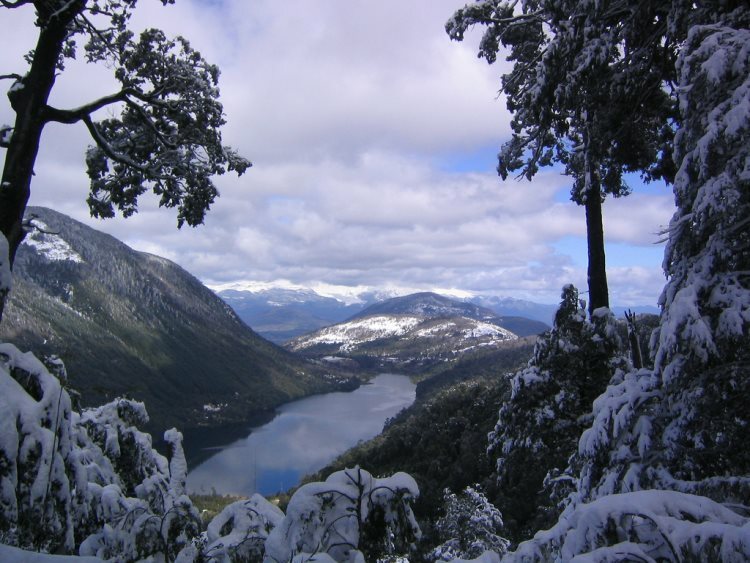 Often described as the most scenic of Huerquehue NP's walks, this trail meanders past beautiful, clear lakes and through atmospheric ancient rainforest. 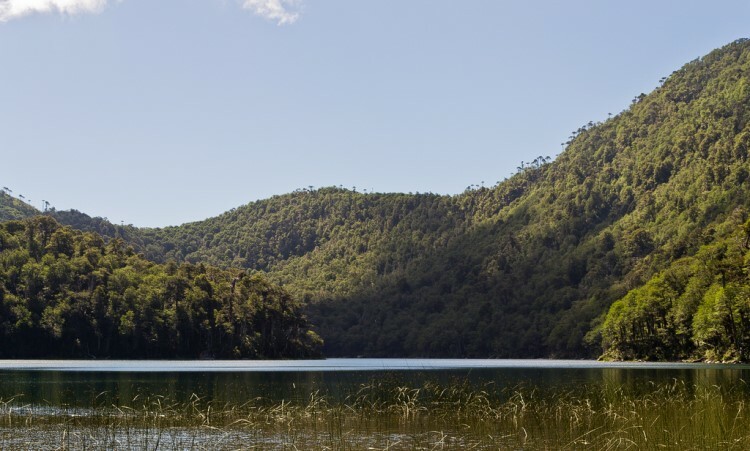 Beginning at the much-photographed Lago Tinquilco, where thickly forested slopes rise rapidly from a gentle shoreline, the walk takes in tiny Lago Chico, stunning Lago El Toro, and lush Lago Verde. Take a dip into the volcanically heated water of some thermal springs found just a few metres from the shores of the icy cold Rio Blanco, before retracing your steps back to the start. An alternative trailhead at Playa Negra, on the shores of Lago Caburgua, takes a path following the Rio Blanco southeast to the hot springs, before joining the standard trail on its return route. 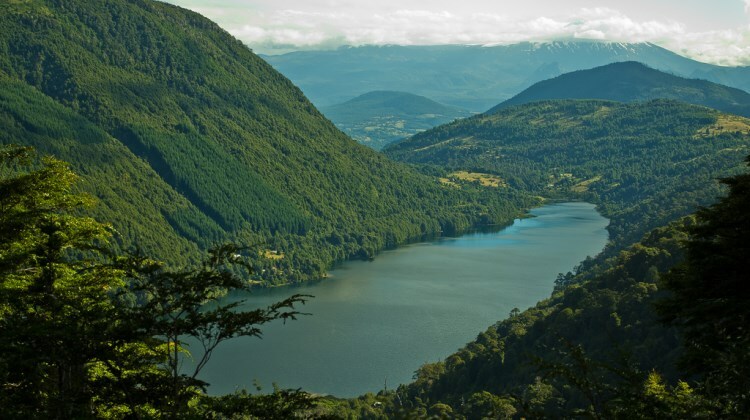 The lakes closest to Tinquilco make a great day trip and they are steadily growing in popularity, owing to both the excellent scenery and the park's proximity to Pucon. 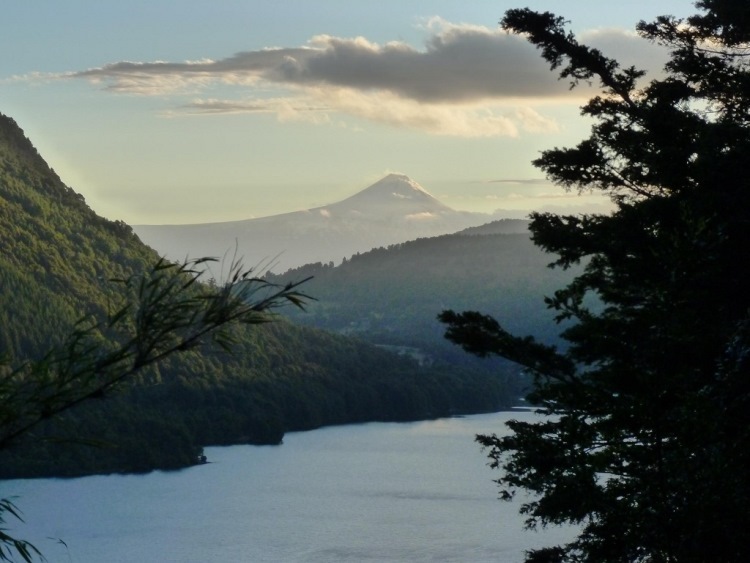 Huerquehue NP is a hidden gem of Chilean Patagonia: in spite of its proximity to Pucon, it has frequently been overlooked in favour of the perhaps more dramatic Villarrica NP to the south. This is beginning to change, as more people recognize the spectacular walking to be had in this tiny park. 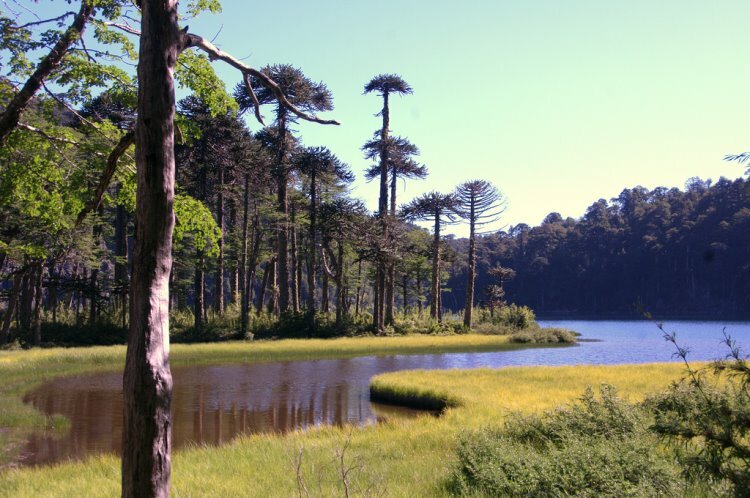 The Los Lagos trail is often described as the most scenic of the walks in Huerquehue, an unsurprising accolade for those who have followed its meandering path through atmospheric ancient rainforest and past stunningly clear lakes, the eponymous Araucania trees reflected in their depths. Owing both to easy access and to this outstanding scenery, the lakes closest to Tinquilco make a popular day trip. For a longer, and more isolated, walk keep going until you reach the shores of the Rio Blanco. Here, you can bathe in the thermal springs before turning back. 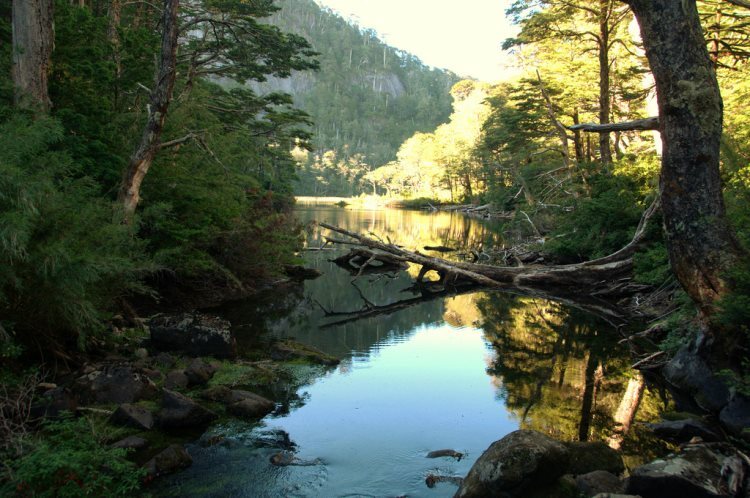 Begin at the much-photographed Lago Tinquilco, where thickly forested slopes rise rapidly from a gentle shoreline. In summer, the sheltered location of this lake allows the surface water temperature to rise to around 20 degrees Celsius, and it is a popular spot for swimming as well as fishing. 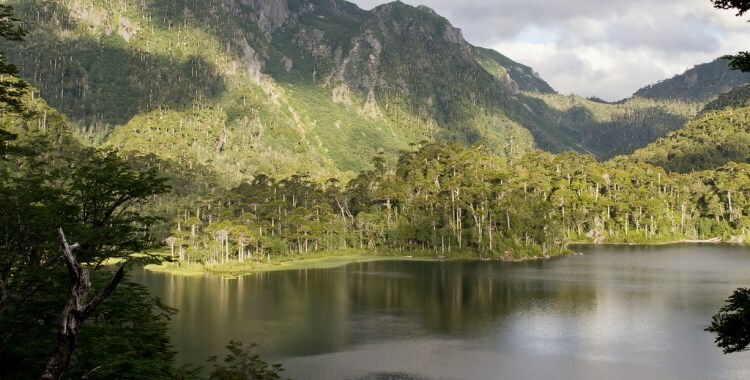 The walk then reaches Lago Chico (literally, "small lake"), with an almost vertical, rough cliff-face edging the opposite shore: hardy Araucania trees cling doggedly in places, but much of it has proven too steep for any vegetation. Lago El Toro, almost immediately next to Lago Chico, is more open, with its mirror-like waters reflecting the verdant greenery that surrounds them. A short, picturesque side trail circles Lago Verde before rejoining the main path. 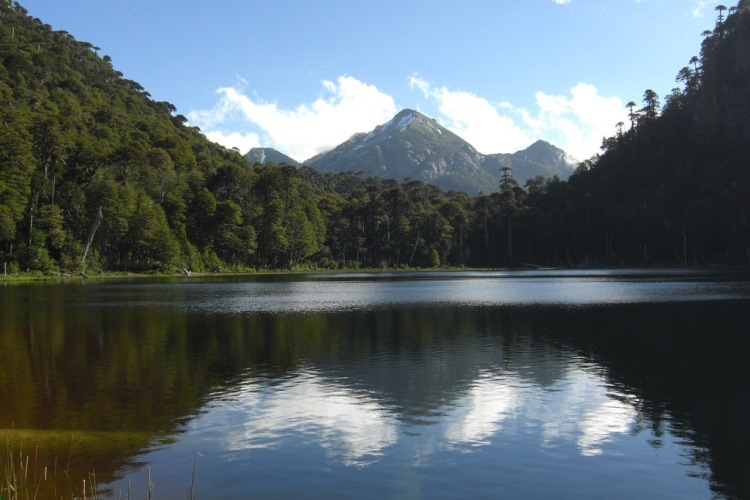 For those extending this hike, continue along the trail to Estero Renahue, where there is a camping ground situated between two small branches of the river - this is the only place in the park, other than the main Conaf campsite at Lago Tinquilco, where camping is permitted. If you are a fast hiker, consider continuing all the way to Termas de Rio Blanco on the first day. From Estero Renahue ascend gradually to Paso Renahue, before descending again. Head east, following a river into its narrowing valley, and you will eventually come to the Rio Blanco. Spend the night at accommodation here: there are some beds available, but bring a tent just in case. Before you start to retrace your steps back to Tinquilco, take a dip into the volcanically heated water of the thermal springs, just a few metres from the shores of the icy cold Rio Blanco. An alternative trailhead at Playa Negra, on the shores of Lago Caburgua, takes a path following the Rio Blanco southeast to the hot springs, before joining the standard trail on its return route. Lago Caburgua borders the park on its western side, a large blue lake made famous as the holiday destination of choice amongst some of Chile's most famous politicians. The trail begins at its northern end, more or less following the Rio Blanco all the way to the thermal springs. From here, simply walk the standard route in reverse. Although the central section of the park is surrounded by peaks of up to 2,000m, this is not a high walk. The alternative trail along Rio Blanco is low, whilst the standard route doesn?t go much above 1,250m. As it starts significantly below 1,000m there is some climbing involved, however. 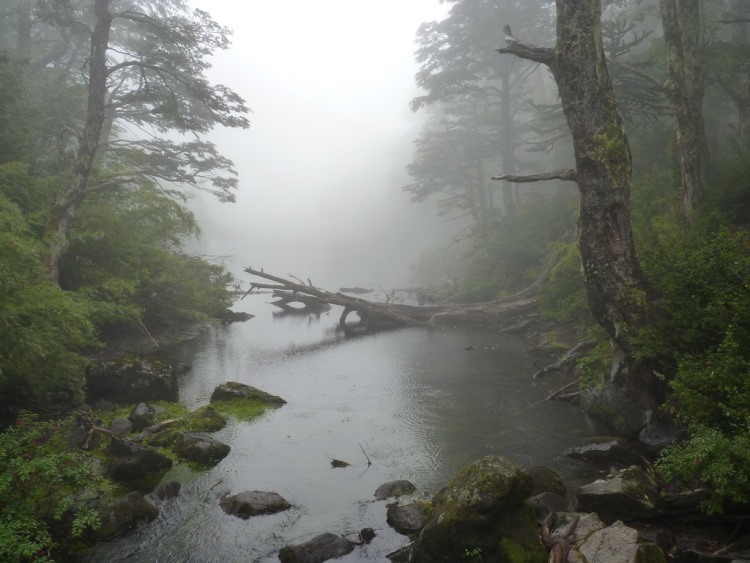 For more information and photos, including detailed practical information and some warnings, see our Huerquehue NP walk page.